Storage and ATA RAID are a few focuses here at eBabble, and a drive cage is particularly handy when you want quick access to installed hard drives. In a rack mount environment drive cages become a must, as fiddling with rack screws and hauling systems off a rack is hernia inducing. Let’s take a look at the BPU-320 from iStar USA, a company making its way into the North American market. In the box is the drive cage, three 0.5 meter SATA cables, mounting screws and a open page manual. The BPU-230 occupies two 5.25″ drive bays and in that real estate puts three 3.5″ SATA drives. Each drive has it’s own quick release drive sled that pops open by pushing on the left side of the drive sled. Turning the circular “Lock” keeps the drive in place and avoids accidental bumping. Along the right side are: Reset, HD1-HD3, Fan. The three HD buttons are green when everything is working, then goes red when there is a temperature issue. A buzzer sounds as well to warn you: the reset button turns off the warnings. On the back are the drive and power connections and some others. Starting from the top left are “Extension Function Jumpers” that let you connect the warnings out to something else; I’m just not sure what that would be. Below that is the temperature warning: it can be set to 55, 60 or 65 degrees Celsius. The fan takes most of the back, as cooling becomes important when you have three hard drives laying on top of each other in an enclosed space. It’s pretty loud when running full tilt but it needs to be pushing a lot of air. Next are two molex, two SATA power and three SATA drive connections. 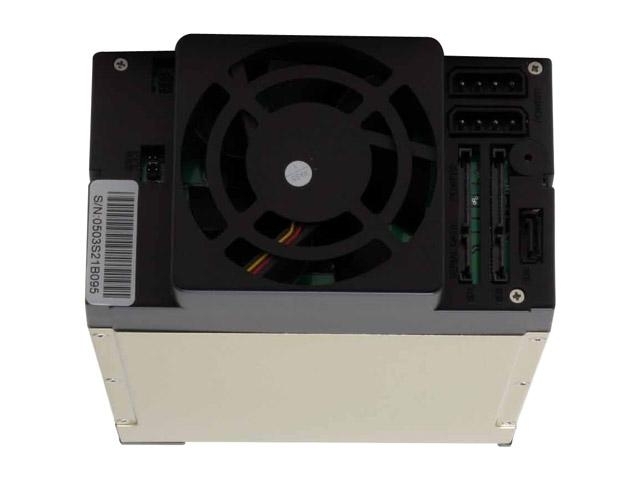 The drive cage gets enough power from two connections, whether they are molex or SATA (mixing works fine too). Nestled in there is the buzzer, which is quite loud. Installation is straightforward, and the one page manual gives all the information you need. The construction is sturdy , with aluminum all around to try and dissipate the heat. The cables and screws come in bags inside the drive sleds, which perplexed me after opening the box, but playing the everything led me to their discovery. 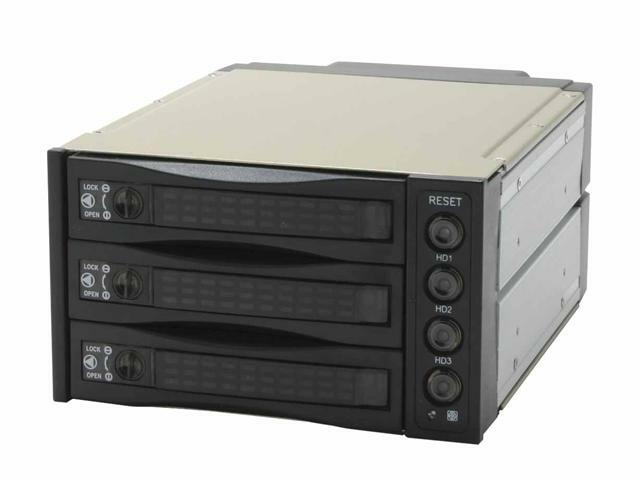 This is a nice little unit a those looking to increase their case’s storage space or want quick access to their drives should consider the iStar USA BPU-230 drive cage. I recommend it for server and rack implementations where noise is not an issue. Editors note: this review was migrated from the old eBabble.net site and the photos updated.